The 68-year-old son of Cuba's former leader Fidel Castro has killed himself in Havana, according to Cuban state media. 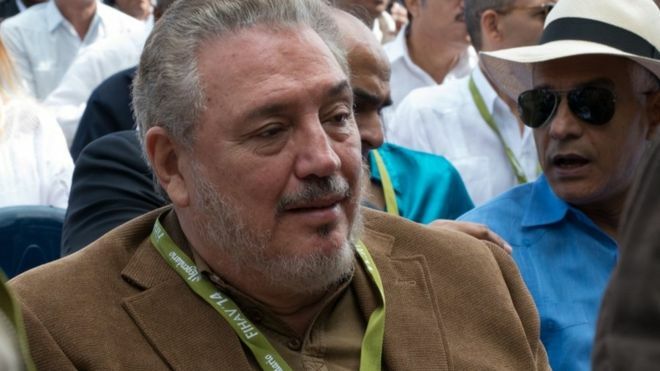 Fidel Ángel Castro Díaz-Balart was found on Thursday morning and is said to have suffered from depression. The first-born son of the late president was nicknamed "Fidelito", or Little Fidel, because of the family resemblance. He was a nuclear physicist, trained by the former Soviet Union. "Fidel Castro Díaz-Balart, who had been treated by a group of doctors for several months due to deep depression, took his life this morning," Cuba's official newspaper Granma reported. State television said he had been receiving medical treatment as an outpatient in recent months, following a hospital stay. At the time of his death, he was a scientific adviser for the Cuban Council of State and he served as vice president of Cuba's Academy of Sciences. He headed the island's nuclear programme from 1980 to 1992, before it was suspended after the Soviet Union's collapse. Castro Díaz-Balart was born during his father's brief first marriage to Mirta Díaz-Balart, the daughter of a prominent pre-revolution politician. His maternal family went on to become prominent figures in the anti-Castro community in Florida. His cousin Mario Díaz-Balart is a US congressman. The television announcement said his funeral would be planned by his family, but no further details were given. His father, Fidel Castro, a revolutionary figure and one of the world's longest serving political leaders, died aged 90 in 2016.